Narayan has put her alchemical magic to work to create this chock full beauty blend super rich in minerals, antioxidants + vitamins A, C, + E - which are the building blocks of collagen. 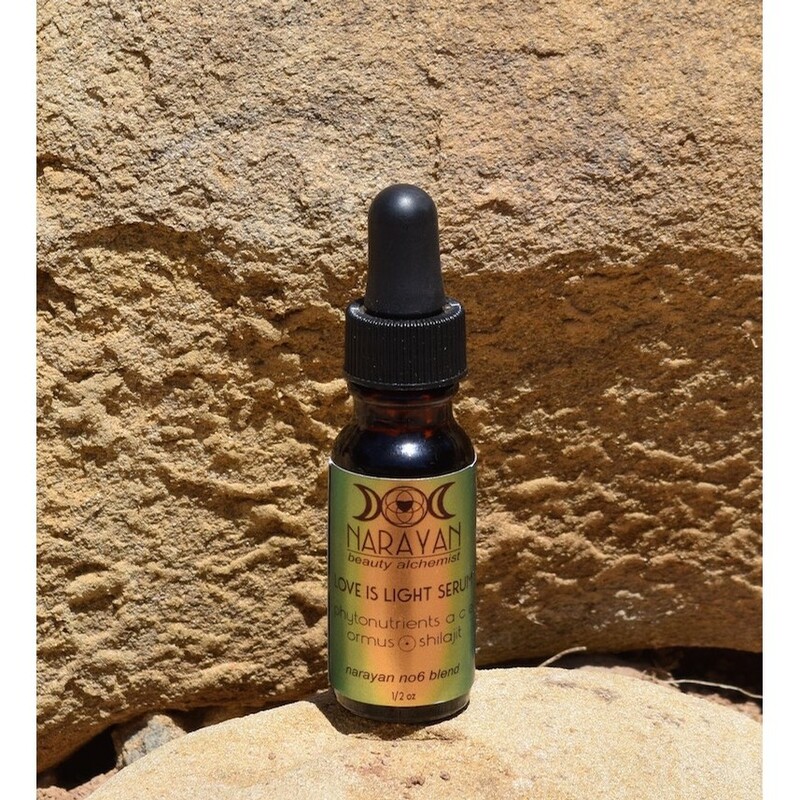 Love is Light contains a 20% essential oil blend, 13 nutrient dense seed oils, and the unique ingredients of Ormus + shilajit working synergistically to deliver all the nutrients to the core of the cell to build collagen + elastin while also bringing vitality and energy to the cell. Ormus is the element of gold that is bioavailable to the body and all layers of the skin. It is a deeply regenerative substance that has a multitude of benefits from anti-aging, to acting as delivery system, pain relief, + an overall sense of well-being. Shilajit is a resin from the caves of the Himalayas, rich in fulvic acid, which carries everything through all five layers of the skin + to the core of the cell. Shilajit is known for both its abilities to heal and rejuvenate on a deep cellular level and also bring pranic life force to your entire body, mind, + soul. Love is Lightabsorbs immediately and brings with it a clear, bright, and energizing feeling + an over all glow to your entire being.